A sound time scheduling and operations planning is your first major step towards making your project a success. If companies work on several projects at one time, those pursuing a targeted time management will be better off. Along with costs and resource utilization, the timing of the process and the project's deadlines are key factors. Creating/presenting the project schedule from different angles, either by using a bar diagram, a network diagram or a bar-network diagram. 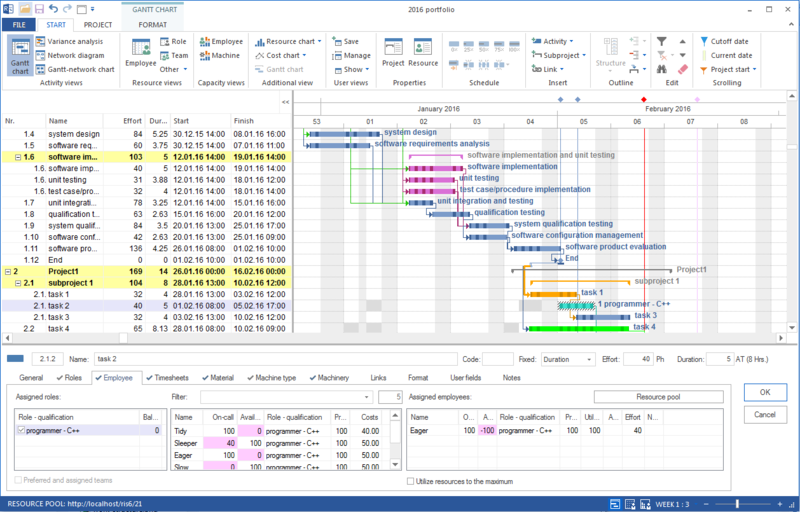 Links connecting the tasks will allow for an automatic re-calculation of the project's deadline if deadlines have moved or delays have occurred. Time intervals between these links can be defined as absolute, relative in % of the predecessor or in calendar time. Hierarchy-independent presentation of several processes consecutively in a row. Use of subprojects, milestones and WBS codes helps invest the project with structure. Calculation and display of critical path and spare time highlights any bottlenecks the project may have. Earliest/latest stage of the project can be calculated (forward/backward scheduling). 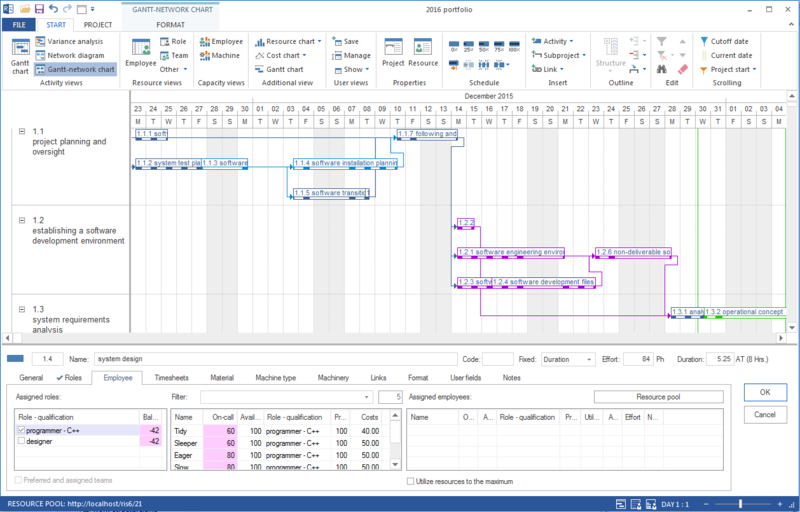 Routine operations can be stored as templates to be reused for other projects. Links connecting to documents, such as graphic files or Excel spreadsheets. Dynamic presentation of the project in the intranet/internet via XML format.